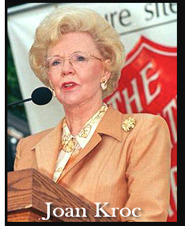 Mrs. Kroc entrusted The Salvation Army with $87 million to build the first Kroc Center in the Rolando neighborhood of San Diego. She was so pleased with what was accomplished there that she left $1.5 billion to The Salvation Army to build centers like it across the country. The initial disbursements of this bequest began in January 2005. The gift had by then grown to $1.8 billion and was split evenly among the four Army Territories - Central, East, South and West. The money was designated to build a series of state-of-the-art Salvation Army Ray and Joan Kroc Corps Community Centers nationwide patterned after the San Diego center. From the very beginning, The Salvation Army envisioned this as a long-term project, that it could take up to 10 or 15 years to have all of the centers open and operational. No other U.S. charity, faith-based or otherwise, has ever undertaken such a sweeping fundraising or construction effort with the potential to impact millions of people. In keeping with the mission and holistic approach of The Salvation Army, The Salvation Army Ray & Joan Kroc Corps Community Center provides opportunities that facilitate positive, life-changing experiences through: art, athletics, personal development, spiritual discovery and community service. The Salvation Army Kroc Center’s facilities, programs and services bridge the gap between potential and opportunity for children and adults, strengthen individuals and families, and enrich the lives of seniors. 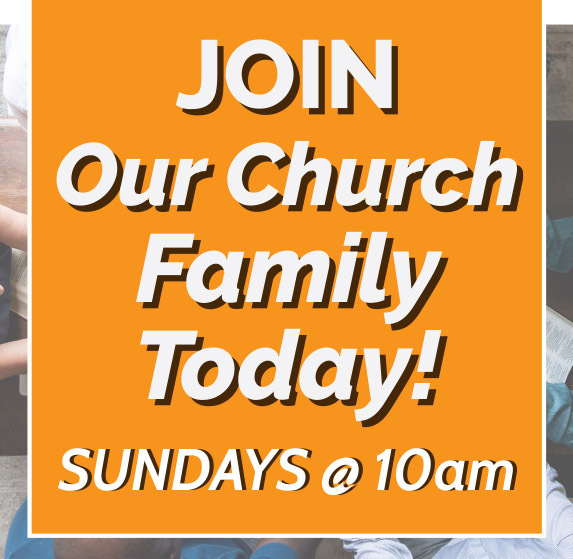 In accordance with the Christian mission of The Salvation Army, these resources will be offered without discrimination to uplift individuals and benefit communities in need. To date, 26 centers are open and operating. Please follow the web-links below for the latest information on the status of individual Salvation Army Ray and Joan Kroc Corps Community Centers and thanks for stopping by. Mrs. Kroc's gift was by far the largest charitable gift ever given to the Army, and the largest single gift given to any single charity at one time. This money was to be used for creating community centers in underprivileged areas. Salvation Army Ray and Joan Kroc Corps Community Centers are funded in part by this benevolent gift and in part by special fundraising efforts of The Salvation Army. In keeping with Joan Kroc's wishes, The Salvation Army and the communities that will receive these centers must work together to support the centers' creation. This is reflective of the Kroc's emphasis on the value of hard work. Her vision was to ensure that all people had access to resources that would enable them to work and help them to reach their full potential. In keeping with the mission and holistic approach of The Salvation Army, The Salvation Army Ray & Joan Kroc Corps Community Center provides opportunities that facilitate positive, life-changing experiences through: art, athletics, personal development, spiritual discovery and community service. 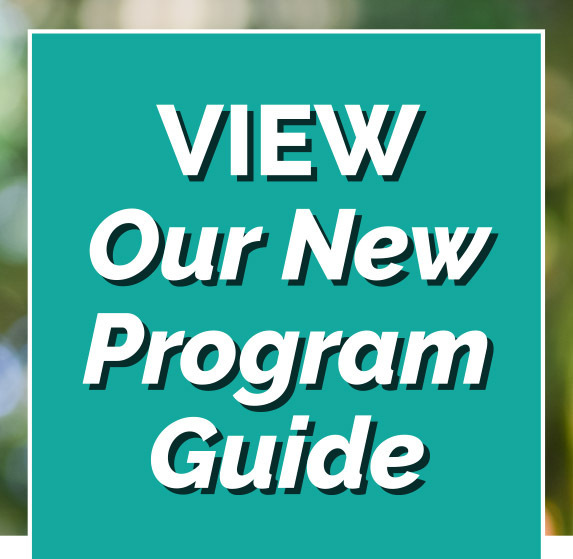 The Salvation Army Kroc Center’s facilities, programs and services bridge the gap between potential and opportunity for children and adults, strengthen individuals and families, and enrich the lives of seniors. 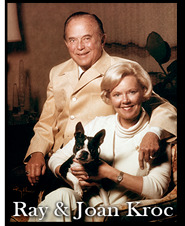 Mrs. Kroc entrusted The Salvation Army with $87 million to build the first Kroc Center in the Rolando neighborhood of San Diego. Sadly, she passed away a little more than a year after it opened. She was so pleased with what was accomplished here that she left $1.5 billion to The Salvation Army to build centers like this across the country. Today, there are 26 Kroc Centers open and opperational.